Christian Ramirez brings the Apostle Paul to the soccer field. During games, the Minnesota United FC forward wears a prayer bracelet bearing words from St. Paul’s letter to the Philippians, along with his parents’ last names. He wears a white bracelet for home games and a black one during away games. Ramirez, 23, has been playing soccer almost his entire life. His father was a semi-professional player in his native Colombia, but suffered a career-ending back injury. He encouraged his son to follow in his footsteps and pushed him hard. “He wanted me to reach this level and saw that I could,” Ramirez said. 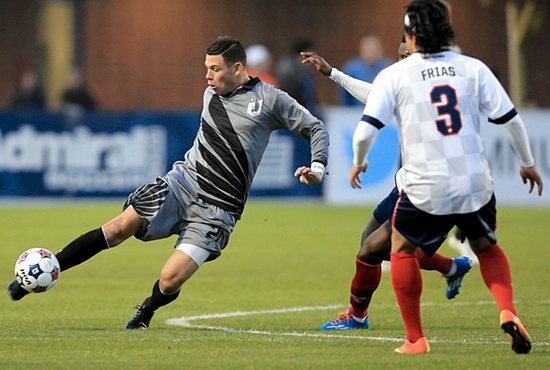 Since joining the North American Soccer League team in January, Ramirez has taken the lead in goals and assists and was named player of the month for May/June after the United won the NASL Spring Champion trophy. Born in Santa Ana, Calif., Ramirez spent a good part of his childhood in Colombia. Legal immigrants to the U.S., his parents were not able to find work and decided to go back home when he was a young child. His younger sister, now a sophomore in college, was born in Colombia. He also has two younger brothers, ages 9 and 11, who have been a big influence on how he lives his life and his faith. He wants to be a good example for them. Ramirez prays before he takes the field for a game and before the whistle to start the game. And he now sees his younger brother doing the same. This, he says, is one of those little victories that makes him happy. Still a member of St. Barbara parish in Santa Ana, Ramirez always lived his faith, praying before meals and before bed. But it really started to come to the forefront when he was at Concordia University, a Lutheran college in Irvine, Calif.
Then, he joined the Charlotte Eagles. “That just kicked it up a notch,” he said. The Eagles are a professional soccer team in Charlotte, N.C., run by Missionary Athletes International, a non-denominational organization whose mission is to “glorify God and see lives transformed by communicating the message of Jesus Christ through the global environment of soccer,” according to its website. Part of the ministry of the Charlotte Eagles is teaching the Bible to young soccer players. “That was a big step for me,” he said. He discovered that he really enjoys working with kids and being a role model for them. “I think for me, it’s like I have such a great position being a professional soccer player that I can be a role model for the younger kids in the way I act and the way I speak, just the things that I do,” he said. Since joining the Minnesota United this year, Ramirez is working with kids as a coach for a soccer club. Ramirez has been watching the World Cup action in Brazil closely. “It’s every soccer player’s dream to play on that stage,” he said. “You see us playing out here and how much excitement we get in front of fans. We can only imagine what it feels like to get on that stage and have a whole country behind you. 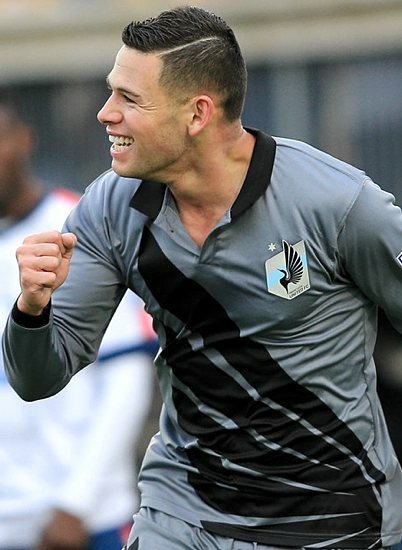 For more about Christian Ramirez and soccer in Minnesota, follow the Minnesota United FC on Facebook and Twitter @MNUnitedFC.